Producers of the finest online TV interview content, Street Talk, have just dropped a couple of new episodes as their New York edition nears the end of it’s run. This time, the team pay a visit to a couple of equally successful New Yorkers, with different fields of experience. 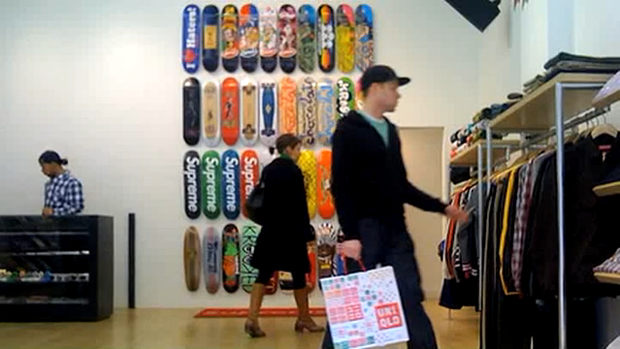 Episode 7 is an insight into the life and work of designer Harry Allen, known for his work designing stores for Supreme and Kidrobot. In addition, the newest ‘New York Minute’ installment see’s Street Talk have a few words with Bevin Elias, owner of Brooklyn menswear store, The Brooklyn Circus. Check out both videos below and find the rest of the series at Street Talk.